Position an oven rack in the bottom of the oven and preheat to 450 degrees F. Line a baking sheet with foil. Remove the leaves from the cauliflower, then trim the stem flush with the bottom of the head so the cauliflower sits flat on the prepared baking sheet. Rub the outside of each head with the cut garlic. 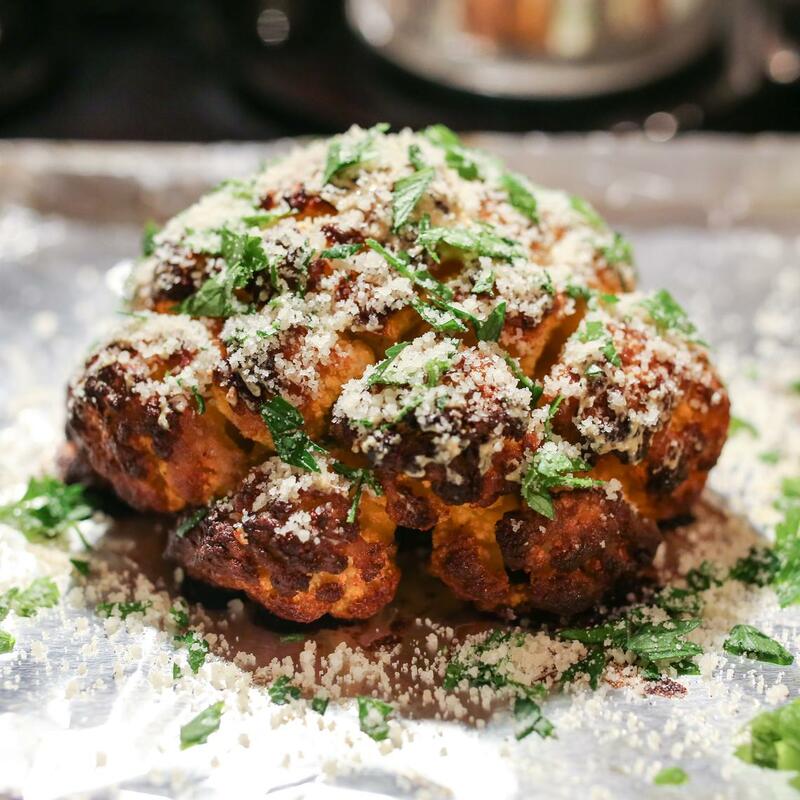 Put the cauliflower on the prepared baking sheet and brush the entire outside and inside with the mustard-oil mixture. Roast the cauliflower until nicely charred and tender (a long skewer inserted in the center of the cauliflower should pass through easily), 50 minutes to 1 hour. Let rest for a few minutes. Meanwhile, combine the parsley and Parmesan in a small bowl. 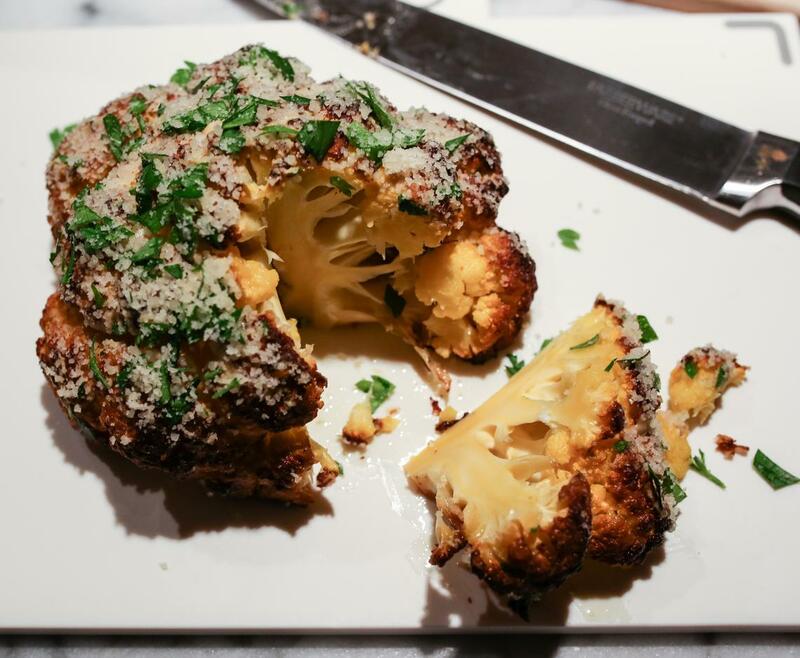 Brush the outside of the roasted cauliflower heads all over with the remaining 1 tablespoon mustard and generously sprinkle with the Parmesan mixture. Cut the cauliflower into thick wedges and serve on plates with a sprinkle of salt, lemon wedges and any extra Parmesan mixture.